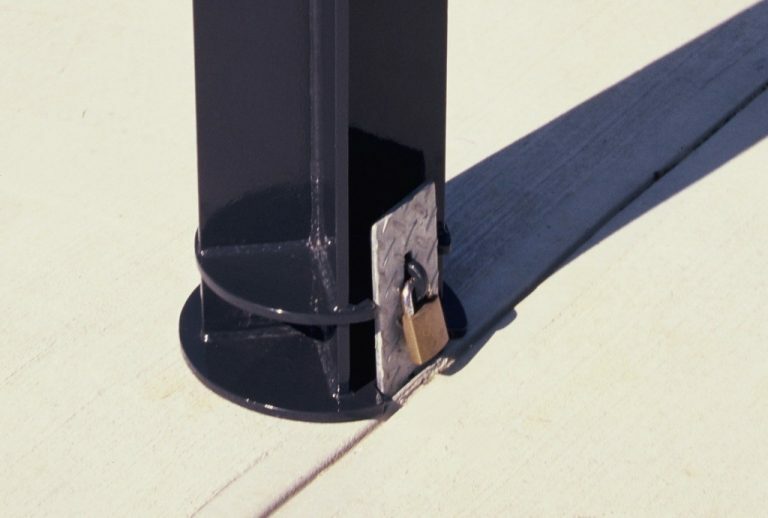 'PROMENADE' street furniture and park furniture - Removable Bollard, fabricated from aluminium or hot-dipped galvanised steel, both with a powder coat finish. 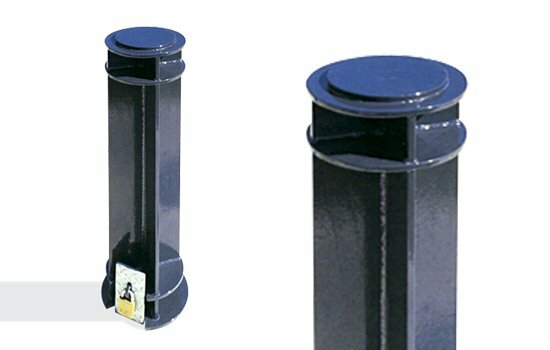 In-ground sleeved base assembly is hot-dipped galvanised steel. Optional decorative cast 'Urbanstone'-type insert available, to compliment surrounding paving.